The International Baseball Federation (IBAF) is announcing the eight teams, which will be participating in the V Women’s Baseball World Cup. The tournament will be played from August 10 to 19, 2012 at Telus Field in Edmonton, Canada. Defending champion Japan, host Canada, Australia, USA, Venezuela, Chinese Taipei, the Netherlands and Cuba have been confirmed. After the eight teams play a round robin preliminary phase, the top four-ranked teams advance into the semi-finals with the winners moving up to the gold medal game. The other four teams will play a classification round. This format makes sure that all eight teams will play a total of nine games of top level women’s baseball. 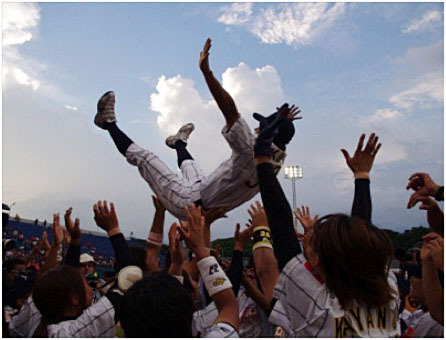 Japan had won its second consecutive gold medal at the 2010 Women’s Baseball World Cup in Venezuela, defeating Australia 13-3 in championship game. Team USA picked up bronze after a victory over the hosts. Japan has reached the finals at the Women’s Baseball World Cup in each of the fourth editions. Team USA had won the first two events in 2004 and 2006. Edmonton is hosting the Women’s Baseball World Cup for the second time. They already organized the inaugural edition in 2004.